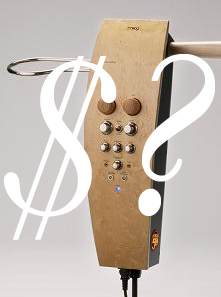 Theremin World - EWPro: Frenzy or Temporary Insanity? EWPro: Frenzy or Temporary Insanity? Well hot on the heels of the 7 grand EWPro sale, a second one has appeared on EBay with the self proclaimed status of "a rare collectors item!" and a higher starting price to boot. Well TW, we have a chance to watch the theremin market behavior much sooner than expected! And some of us just love playing ours. Who knew it was going to be the Stradivari of the week for mid June 2008?